Welcome to Megapolis - a long standing city building strategy game. Megapolis is not only a true economic game based on the rules of the market, but also a perfect chance to build the metropolis of your dreams. You'll never be bored in this game, Megapolis has a lot of opportunities to grow: build a perfect urban infrastruсture, advance science by forming a research center, expand the mining industry for natural resources or become a true oil tycoon. You can play however you want. Ever wanted to combine Stonehenge, Eiffel Tower and Statue of liberty all in the same town? Now it's possible! Megapolis gives you an opportunity to build a huge number of famous buildings and monuments which look exactly the same their real-life counterparts. Build houses, skyscrapers, parks and choose the monuments you'd like to add to your city to enjoy the view. 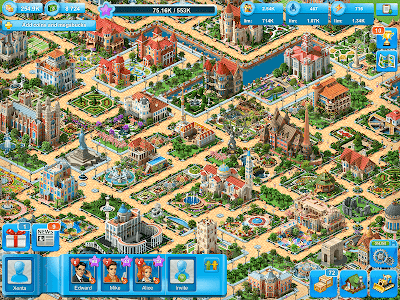 Place buildings strategically to keep the taxes flowing and your city growing. There’s always something new and different to make your town unique. Megapolis is constantly growing! 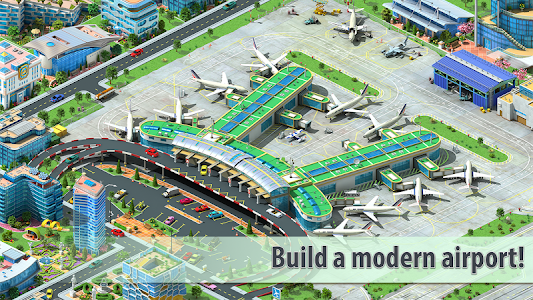 Create one of the busiest transport hubs ever and provide your citizens with all the blessings of civilization . Construct infrastructure such as a Ring Road for vehicular traffic, an extensive underground network, railway stations for cargo and passenger trains, airports with fleets of airplanes to send flights all over the world, and much more! Form your own manufacturing system strategy. 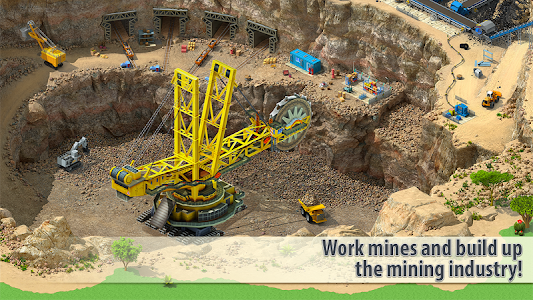 Develop deposits, collect and process resources, build factories, extract and refine oil, and more. Build up a military base, develop new weapons and enter the arms race. 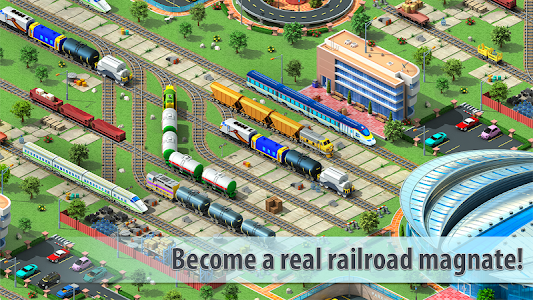 Choose your path and become a true industrial tycoon. Mayor! To progress faster and conquer the space, your town definitely needs a research center. Discover new materials, advance science and build a true spaceport to fire the rockets into space. Don't forget to invest in high-tech equipment such as survey boats, atmospheric sounders, deep-submergence research vehicles and much more! Cooperate with other Mayors and compete in real-time state contests. Once the weekly contest is on, earn as many points as you can to get rewards and climb the ranks to advance through Leagues. Compete in seasonal contests to get even more valuable rewards. Become a top State and get a unique state emblem and rewards that can upgrade and beautify your city.
? Amazing opportunities for infrastructure upgrades: railway, airport, ring road, underground, ships etc. Is your Megapolis going to be your personal source of pride? It doesn’t matter what type of player you are or what your age is. 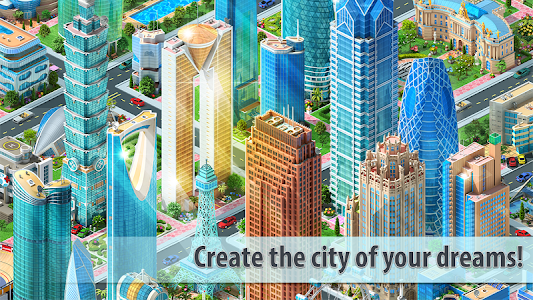 Every decision is yours as your city grows into Megapolis. Nothing will be in your way once you start planning a strategy to progress. Make smart choices to keep your citizens happy and your skyline growing. It’s all there for you to enjoy! Become the most creative tycoon the world has ever seen and the best builder, too! Build, expand, plan your strategy - the decision is in your hands! PLEASE NOTE! 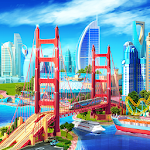 Megapolis is free to download and install. However, some game items can also be purchased for real money. If you do not want to use this feature, please set up password protection for purchases in the settings of your Google Play Store app. A network connection is also required. You can now take part in events that you have missed out on. 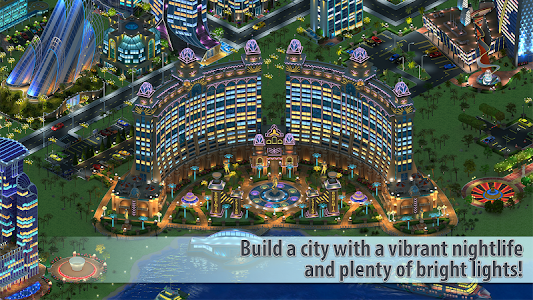 Find the buildings that interest you in Megapolis and start the quest. We’ve also improved how states work. We’ve added the ‘Invest all materials’ button to the construction window in the State Capital. And, if your state’s governor hasn’t visited the game in a long time, a new governor will be automatically declared. Moreover, we introduced technical improvements to make the game even more fun! Hurry and visit the game.